The Quarter Final round of the NABC championships took place on Sunday 26th November with 26 bouts to decide the southern Semi Finalists. 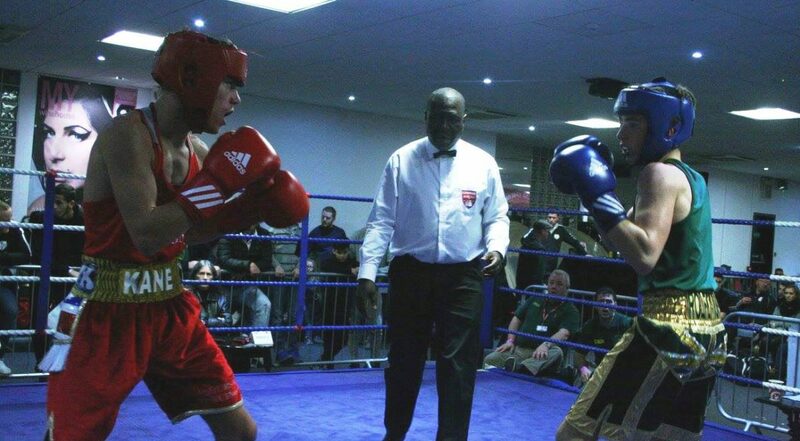 Clubs from Anglia, Surrey, Sussex, Kent and London put on a great display of youth boxing. In all, 52 boxers competed with 47 male and female champions (including walkovers) progressing. We wish all boxers success for the rest of the competition, in particular the 33 from our affiliated network (10 from Anglia and 23 from London). Champions will take a place in the southern semi finals hosted by Young Bristol at Hengrove Park Leisure Centre, Bristol, BS14 0DE on Sunday 3rd December. Class A & B photos are available here. Class C & D photos are available here.